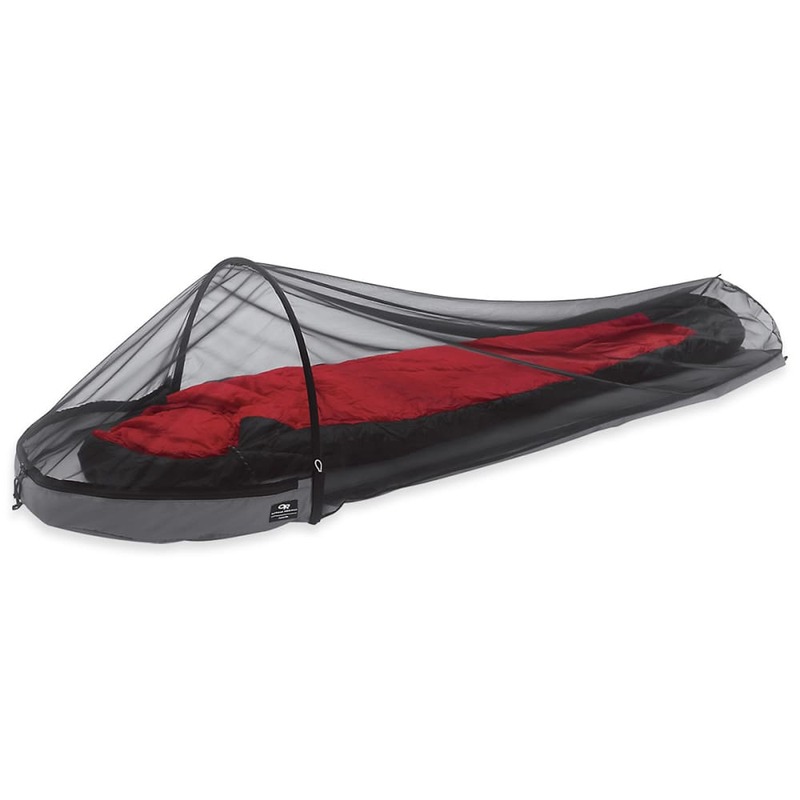 The Bug Bivy provides complete insect protection through the night. A single pole holds the mesh away from your face, keeping the bugs at a distance, and the zipper opening seals out mosquitoes and other small insects. A waterproof floor keeps the moist ground from soaking through your bag as you sleep.